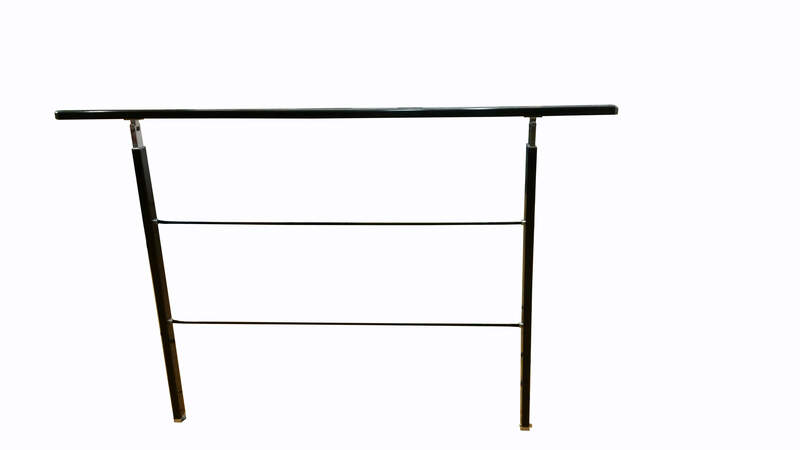 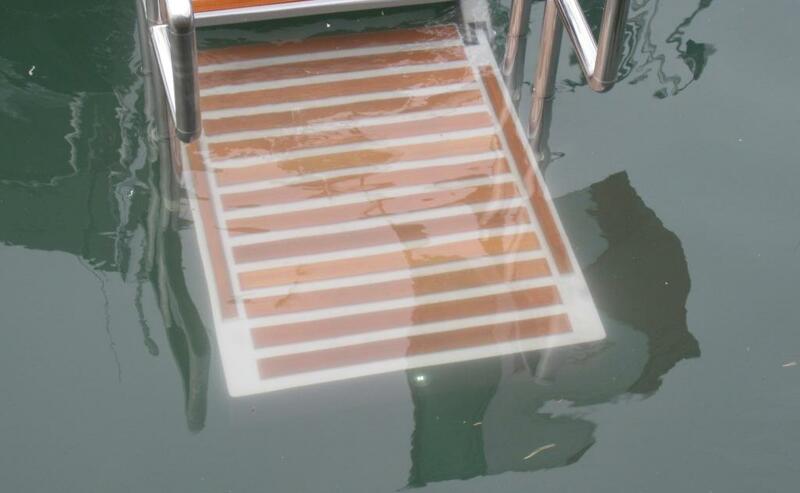 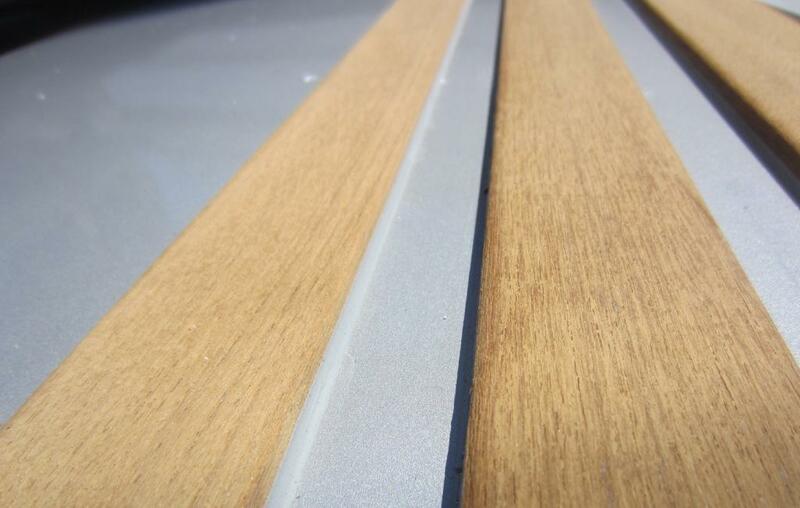 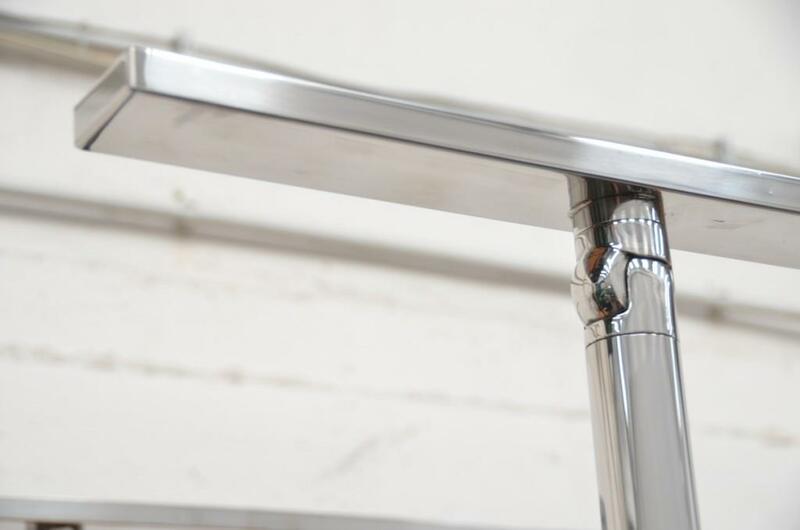 Typical sliding gangways have a max up/down angle that limits the use. 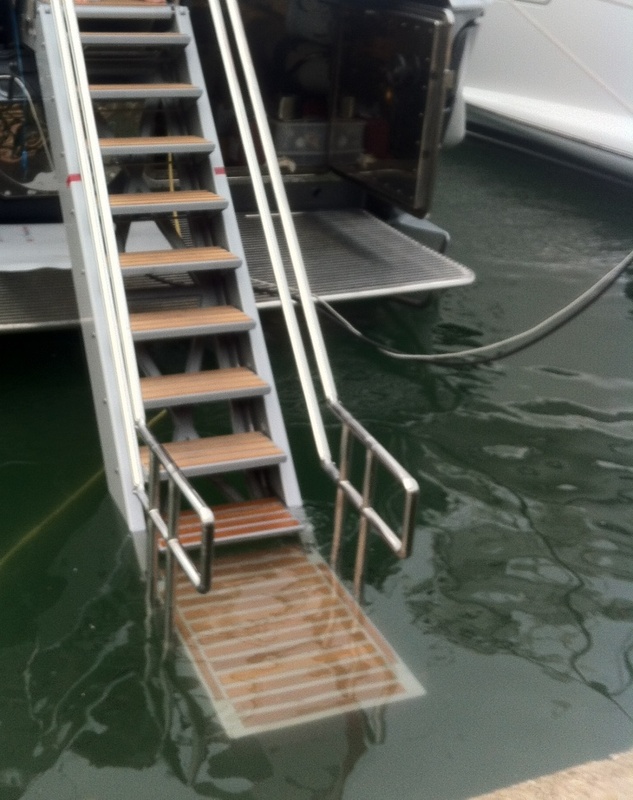 The step passerelle do not have such a limitation! 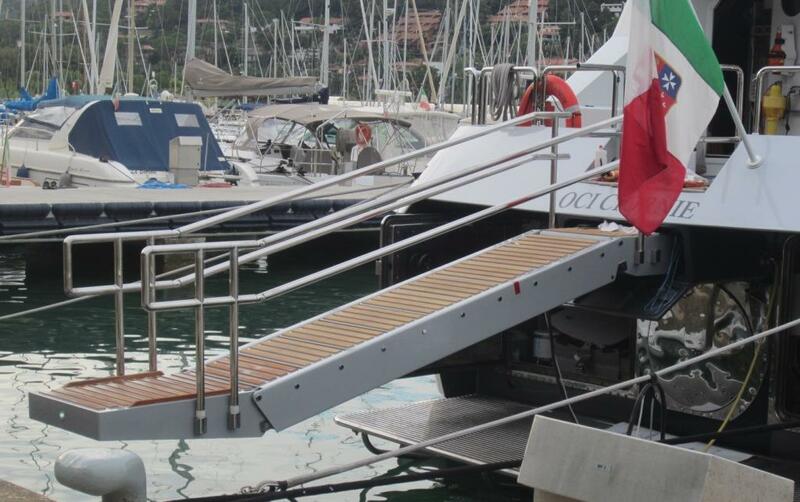 Increased level of comfort and versatility, elegant design and possible use for people with reduce mobility. 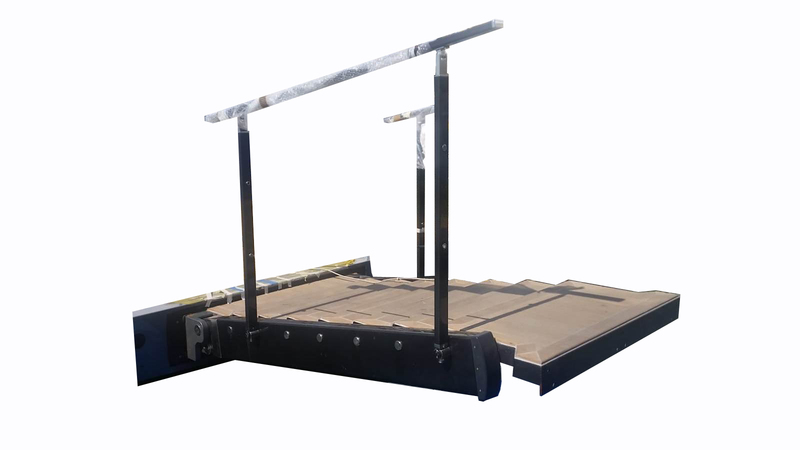 Typical weight: 90Kg for the basic configuration (box excluded). 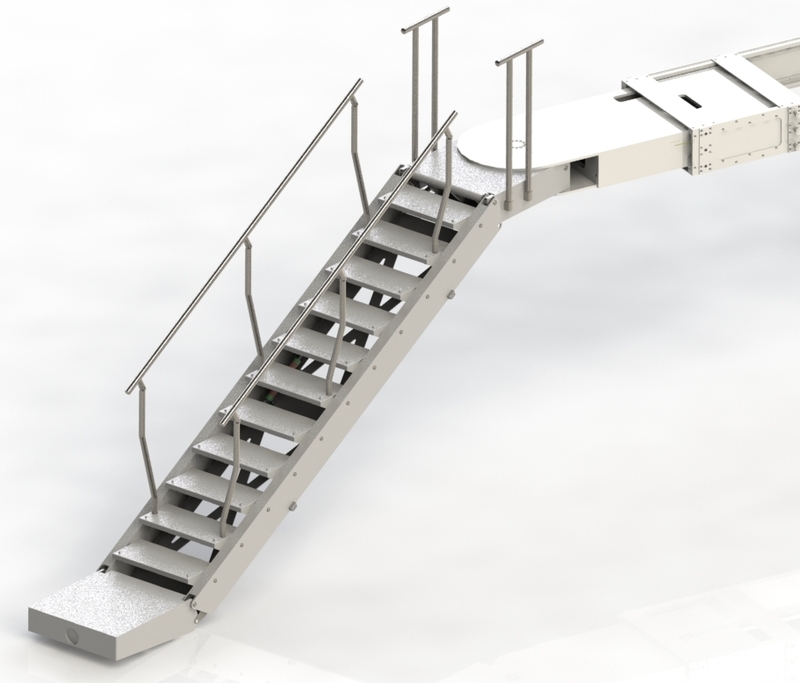 D5 is a hydraulic gangway based on a special kinematic system that controls the alignment of the steps. 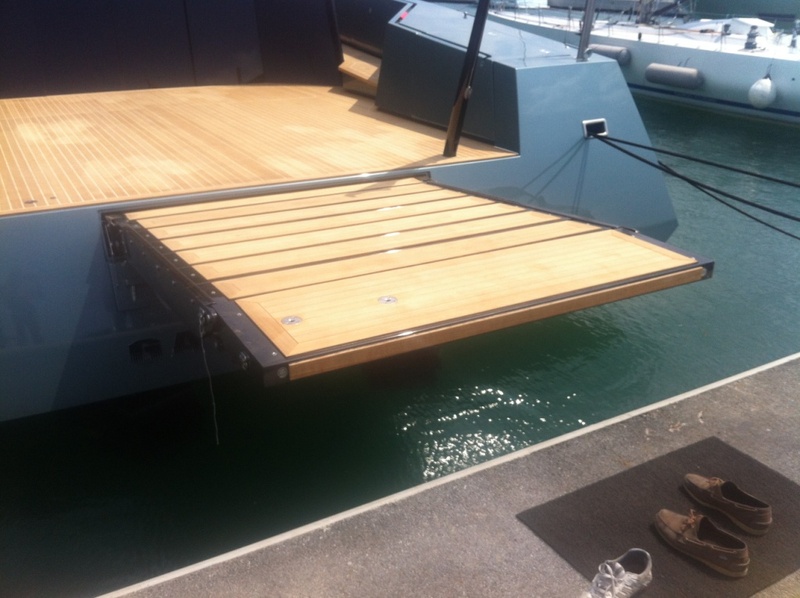 The gangway can rotate up/down with a for a range of 80°. 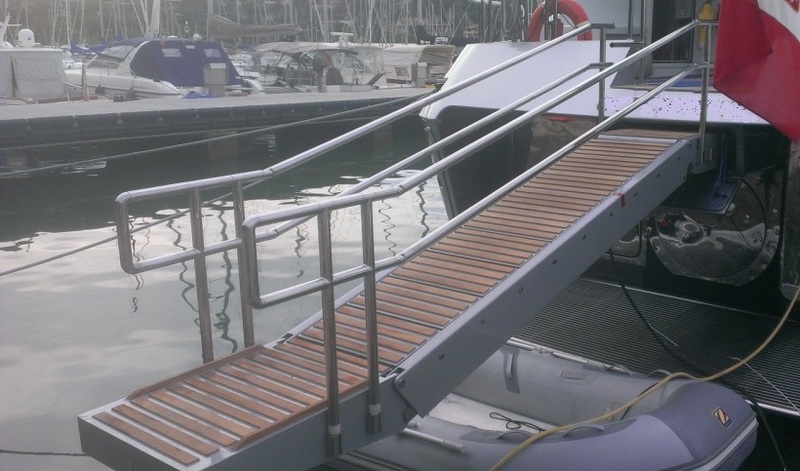 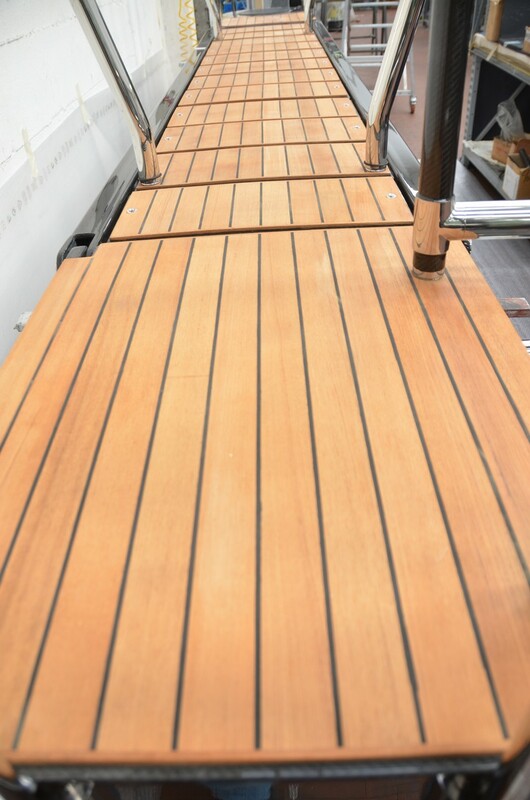 The gangway can pivot up to 75° inboard/outboard. 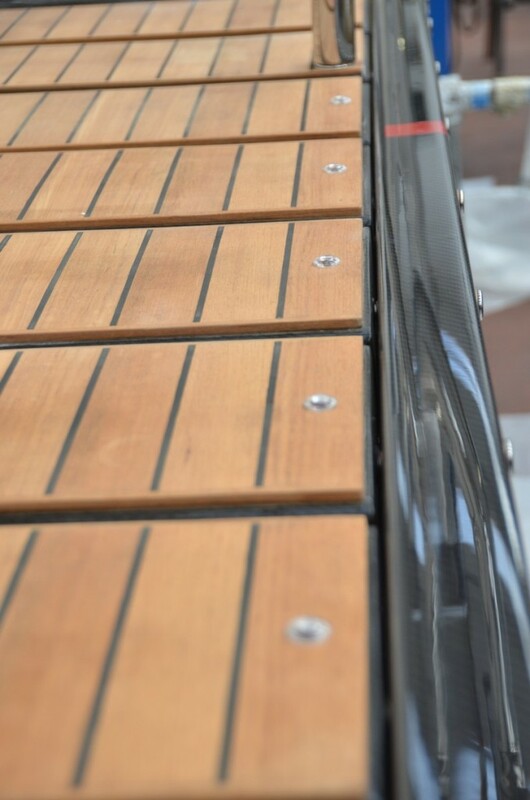 The whole construction is carbon, with carbon pre-preg technology, cured at high temperature (>90°C) and consolidated under vacuum pressure. 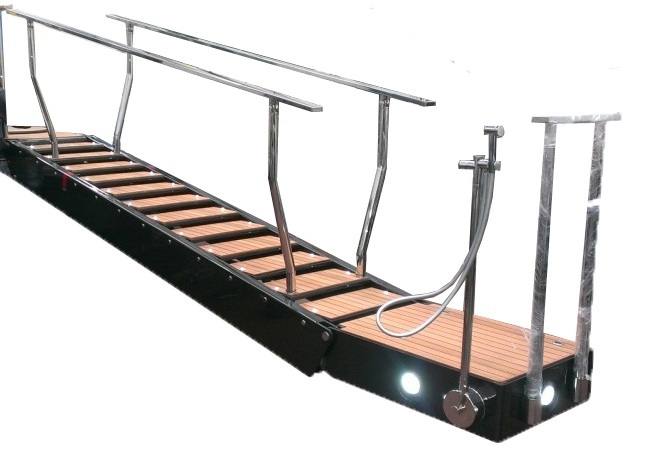 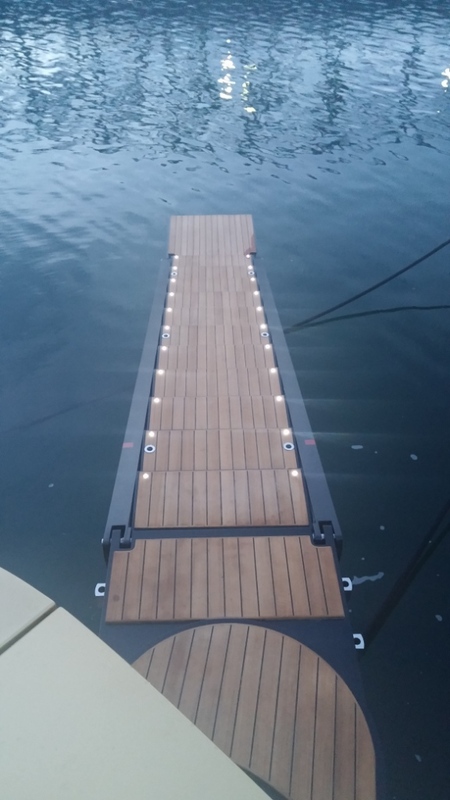 Options available: Carbon made stanchions, teak cover, spot light on walkway, head underwater light, head electric plug, remote control, hatch system.